darklinux's review (This content has been automatically translated from French)" Extraordinary"
aleph050673's review (This content has been automatically translated from French)" Swiss knife inventive"
That one month that I use, so I was looking for a sequencer not to run a volcanic beat and microbrute with or without a computer. My stuff I was surprised by its weight, it is clumsy and it looks beefy with good slip as avoiding beast that has s'barre use. The knobs have a slight against per game in their axis, nothing serious but we must say! 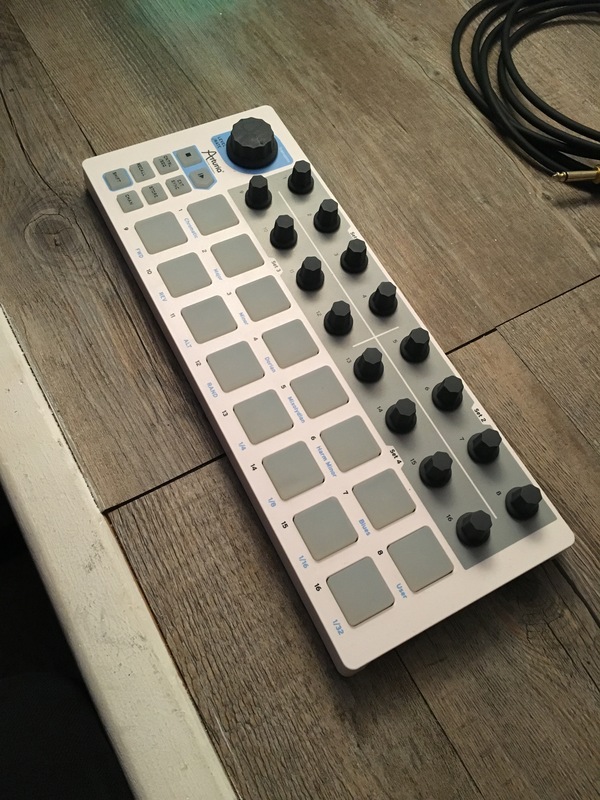 Finely serrated set of these knobs for precision that makes sense to choose the tonal hauteures in sequencer mode It will be appreciated. To finish with the clinical examination we noticed a plastic coating on the lateral edges tends to hang, potential fragility objectify. Curious, no power outlet, this thing is a vampire that feeds on its host: a charger under a lug, great for nomads. 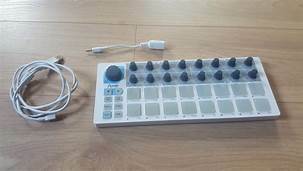 On emblematic I connected to my brute, emblematic of I amused sequencer mode control everything that makes him midi output, usb for ipad ... it all works without special installation . Outputs gate out and out CV multiply capacity syncronisation between three devices. Connecting it to the PC and installing the software is really suitable enters configuration capabilities Huge enough. The controller mode sends, it seems to me, a damn good god type of MIDI message with a choice of 16 channels. Pc can become Master via usb, the controlle external or internal sync can be readily switched to the fly, adding opportunities for live. The buttons play / stop control a DAW like Reaper home and this without hacking! 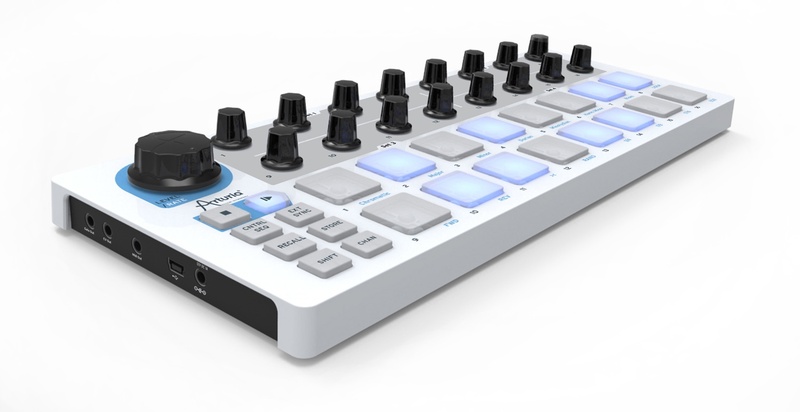 In use it easily switches from the sequencer controller, bright buttons allow thoughtful ergonomics. Against by Mr Arturia could not illuminate everything and serigraphs them under the buttons can not be seen in the dark, which gene has little use. 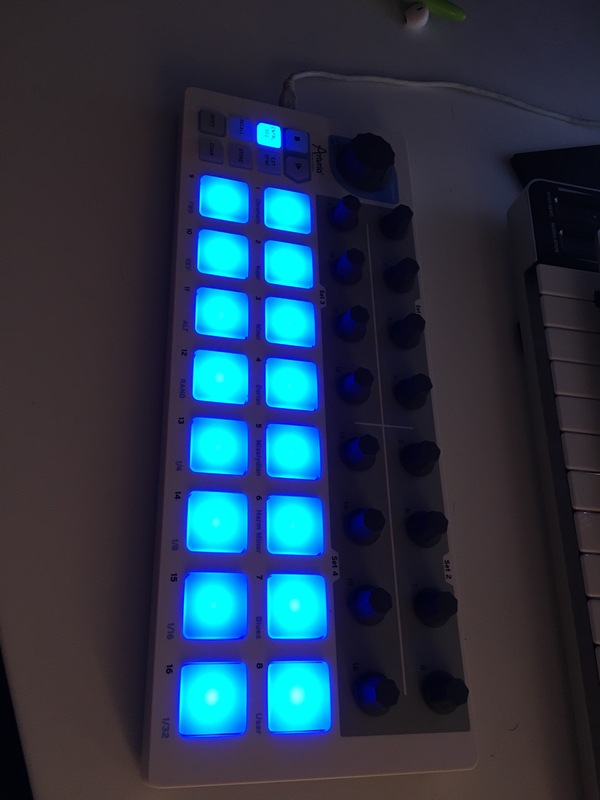 I bought it mainly for its sequencer and advise especially anyone seeking hardware sequencer, there are hardware controllers can be more boring quality / price. 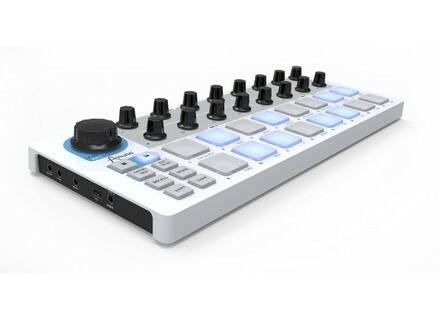 Arturia showcased the new BeatStep MIDI controller and step sequencer to our team at the NAMM Show 2014.